Jim was inducted into the St. Louis Soccer Hall of Fame in 1998. 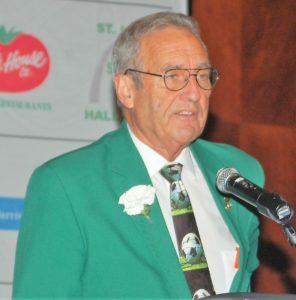 Member of the St. Louis Soccer Hall of Fame Selection Committee since 2005 and became President in 2010. Jim received the C.Y.C, Silver Boot Award in 2010.